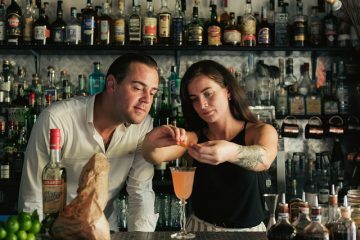 Trust the Italians to come up with what must be the most stylish drinking ritual probably ever – Aperitivo Time. Even saying it makes you feel all continental and cool. Simple, social and seriously chic, it transforms what would be ordinary after work/pre-dinner drink into quite the occasion. 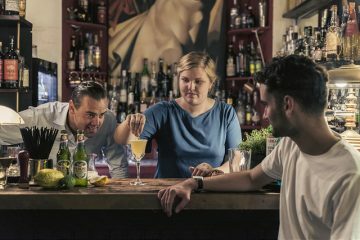 The way it works is this: between approximately 6.30pm and 8.30pm, the Italians ease out of the stresses of the day and into the evening with a drink. Nothing too heavy or bold mind, on the contrary, aperitivo time is all about sipping something delicious and purposely bitter, served with a few salty tidbits. It’s an age-old, tried and thoroughly tested way to stimulate the senses and open up the palate before dinner. 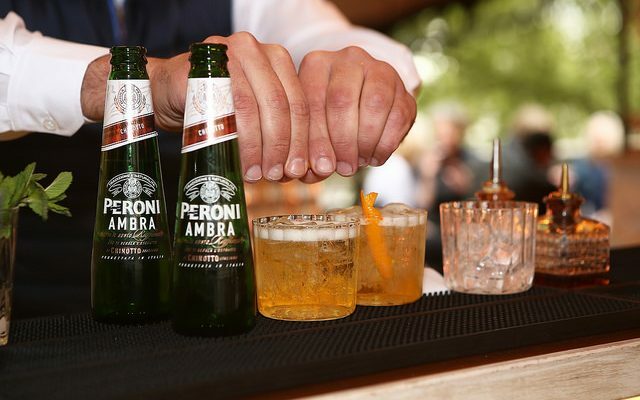 Peroni Ambra by Peroni Nastro Azzurro is designed with this tradition in mind. To see the elegant 250ml bottle the uninitiated might think it’s just another tastefully packaged beer; to taste it is another matter entirely. 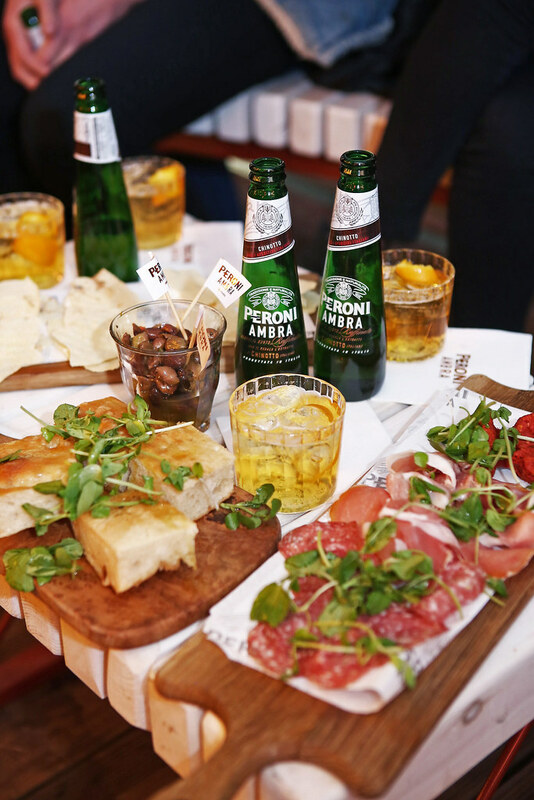 Crisp, refreshing and agreeably bittersweet, its rare and distinct flavour is down to one key ingredient: the authentic Italian chinotto sourced from Liguria in North West Italy. Think of the fresh tang of lemons and dial that up to awesome – the zing that comes from the chinotto is truly unique. 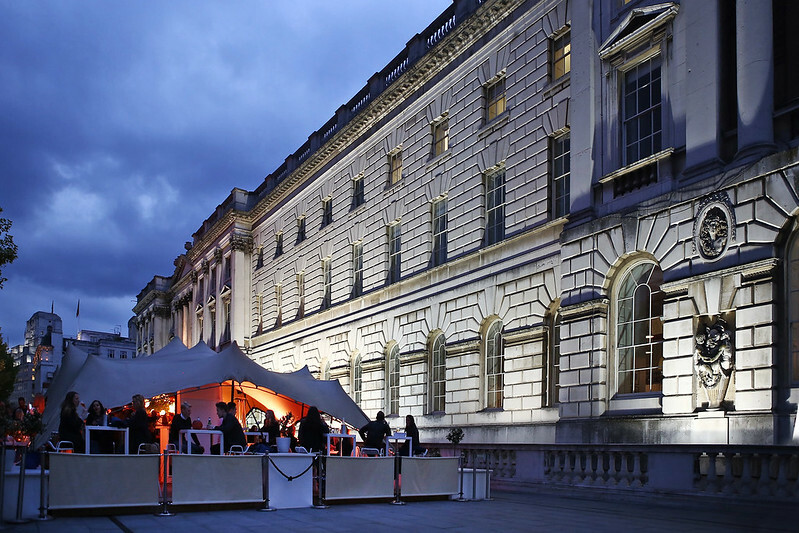 Discover it for yourself at Somerset House Terrace, presented by Peroni Ambra where it will be served exclusively until the end of September. How to enjoy it? Simply poured over ice into one of the graceful bespoke glasses and garnished with an orange twist. And with a few tasty nibbles, of course.